MSC Cruises has added a fourth internationally acclaimed chef to its list of culinary partnerships across its fleet. 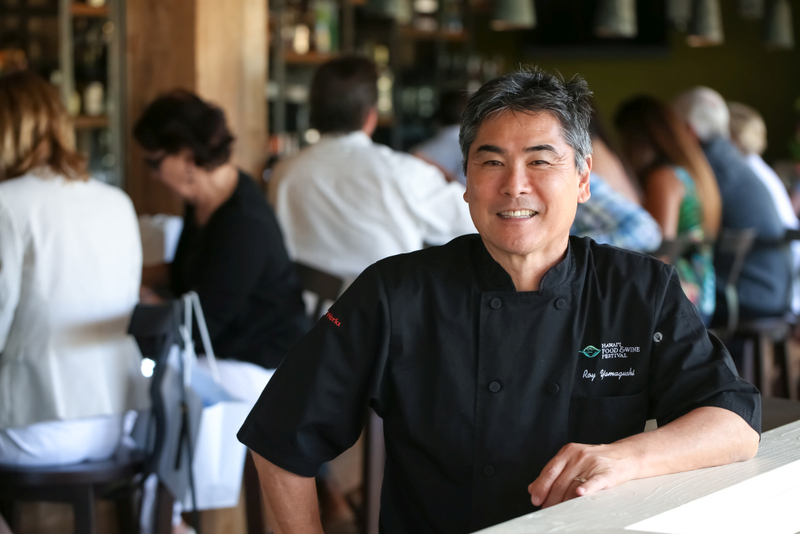 Pan-Asian chef Roy Yamaguchi is an innovative Japanese-American chef who founded 28 Roy’s Restaurants in the United States and one in Guam. His unique Hawaiian fusion cooking will be available on the cruise line’s latest ship, MSC Seaside, which is due to launch in December 2017. Chef Yamaguchi will have a dedicated speciality restaurant on-board the ship and will be involved in designing every element of the new pan-Asian restaurant experience. This will include everything from creating the recipes and menus, to selecting chinaware for the dishes. He will be involved in selecting the music to create the right ambience, choose the wine pairings to complement the food and will even choose the paper for the menus. This adds to the existing trio of partnerships with renowned, award-winning chefs Carlo Cracco, Jean-Phillippe Maury and Jereme Leung. Two-star Michelin chef Carlo Cracco specialises in progressive Italian cuisine. MSC Cruises first began working with Chef Cracco in 2013 and he now designs the Christmas and New Year menus each year. The cruise line is collaborating with Chef Cracco to design a new cooking experience for the DOREMI kids clubs which will be available from summer 2016. French chocolatier and pastry chef Jean-Philippe Maury will tempt guests with his sweet creations initially on MSC Divina, currently based year-round in the Caribbean. This will then be rolled out fleet-wide, with new dessert offerings for the ship’s buffet, speciality restaurants and the MSC Yacht Club. Chef Maury will also have a chocolate studio with an open kitchen on MSC Meraviglia, due to launch in June 2017, which will serve pastry and bakery menus. He will work with MSC Cruises to create a gourmet ice cream parlour and crèperie in the indoor promenade too. Acclaimed Chinese chef Jereme Leung will offer his contemporary Chinese cuisine on-board MSC Lirica, the first MSC Cruises ship to be deployed in China in May 2016. Chef Leung is collaborating with the cruise line to design new dining concepts tailored to the tastes of Chinese guests, as well as a range of signature dishes.